When you try to enable or turn on your Windows Defender in Windows 10, Windows keeps showing Your Virus and threat protection is managed by your organization error. This can happen especially if you have recently applied a Windows Update, particularly the April 1803 update. It can also happen if a software like a virus or malware is interfering with how Windows Defender works. Their purpose is usually trying to prevent Windows Defender from protecting your computer. It can be severely serious if this is true and the malware remains active in your PC. To make sure it’s not a malware that is causing the issue, try to install a third-party antivirus program to check your computer for threats such as viruses and malwares. Here’s a list of antivirus software that are free and capable enough to remove any malware in your computer. We recommend Avast Free Antivirus, Kaspersky Free Virus Removal Tool, or Microsoft Safety Scanner if you do not prefer the former two. These are the most widely used antivirus and anti-malware protection software in the world. If you own license for any premium antivirus software, of course, it will be even better. Perform a full scan in your PC to check for any threat that may be the culprit of the Your Virus and threat protection is managed by your organization issue. After your antivirus software removed any found virus or malware, restart your computer and retry turning on Windows Defender in your Windows 10 again. If no virus or malware is found by any third-party antivirus program, try this workaround to solve the problem. A recent update has caused Windows to strangely disable Windows Defender anti-spyware capability. We will have to remove this registry to fix the Your Virus and threat protection is managed by your organization error. Here’s how to do it. We recommend using this method as you won’t need to touch the registry editor which can be dangerous if done incorrectly. Go to start menu and search for CMD. In the command prompt, enter the following command followed by Enter key. When it asks for confirmation for deleting the registry value, type Yes and hit Enter. 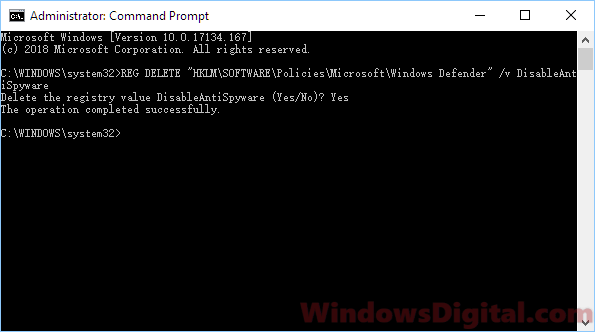 Once the command is successfully executed, exit command prompt and restart your PC. Retry turning on Windows Defender again and see if it will still show the Your Virus and threat protection is managed by your organization error. The method above should always do the job. 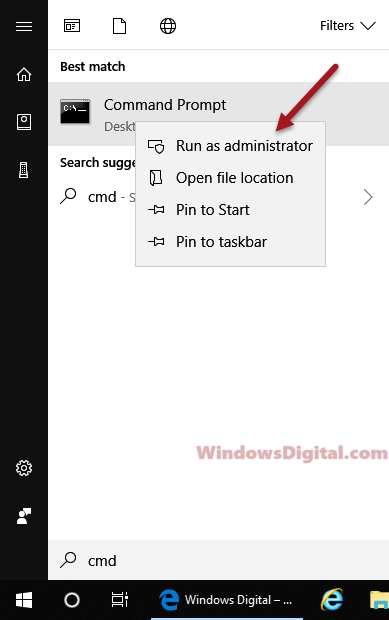 If in any case you have no access to command prompt or the command above just don’t work, you may have to remove the registry key via Registry Editor. Disclaimer: Editing registry can cause serious issue if done incorrectly. Backup your registry before proceeding. Do this at your own risk. Press Win+R keys to open Run window. Type regedit to open Registry Editor. Next, Navigate to the following registry folder. 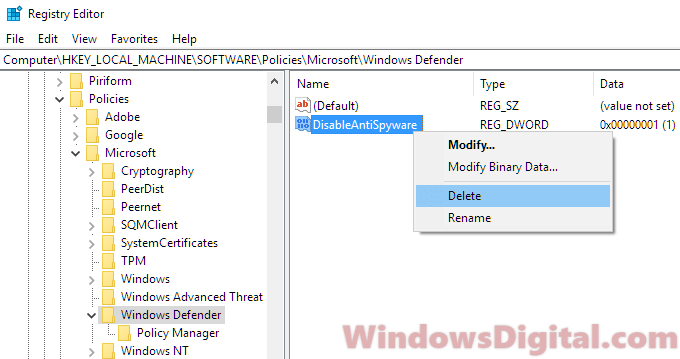 Right-click the registry value named DisableAntiSpyware and click on Delete. Restart your PC and retry turning on Windows Defender. This should fix the Your Virus and threat protection is managed by your organization issue in Windows 10. Description for sharing: When you try to turn on Windows Defender, you see - Your Virus and threat protection is managed by your organization. Here's how to fix it. Worked for me. At first whenever I restarted the PC the problem returned in the registry.